Eurovision 2017: Who's in which Semi-final? The allocation draw took place on 31 January 2017 at the Column hall of Kiev's City State Administration. 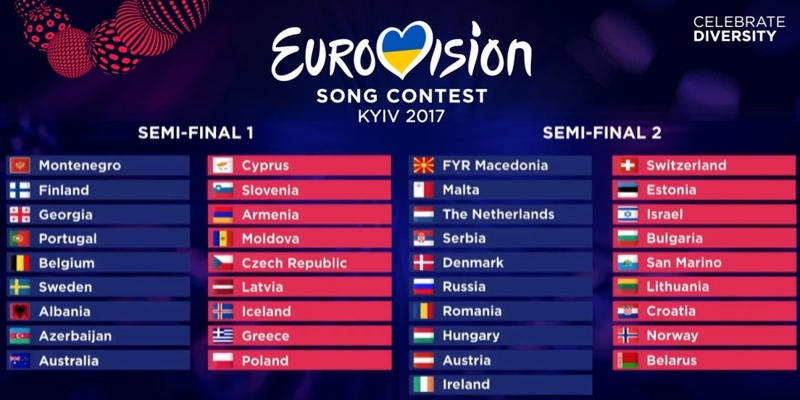 To ensure a fair voting and competition, the 37 countries were distributed into 5 Draw Pots, based on the voting pattern to avoid too much neighbour voting. Before the allocation draw the Host Insignia Exchange took place. Here Eva-Louise Erlandsson Slorach, President of Stockholm's City Council handed over the "Eurovision Keys" to Kyiv City Mayor Vitaliy Klychko.